Wyndham Lakes, located at 10660 Old St. Augustine Road, Jacksonville, FL 32257, is a senior living community specializing in Alzheimer's, Assisted Living, Retirement Living, Independent Living. The community is a part of Horizon Bay Retirement Living's family of senior care communities. The cost of living in Wyndham Lakes starts at about $1,600 a month. 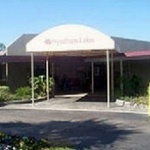 Wyndham Lakes is a single-story, 248-unit retirement community located on the southeast side of Jacksonville, Fla. Built on nearly 14 acres, Wyndham Lakes caters to independent and assisted living residents. We also offer memory care. All apartments are licensed for assisted living, allowing you to receive additional services if needed, without having to move to another apartment. View the complete list of or for all Horizon Bay Retirement Living Jacksonville facilities Jacksonville assisted living communities. For more info on Wyndham Lakes, contact the community with the form to the right. Wyndham Lakes is located at 10660 Old St. Augustine Road, Jacksonville, FL 32257.